Regardless of where a school is located and how well it is performing, students who work hard should still be able to graduate ready to succeed in college and the workforce, right? Unfortunately, the answer is “no” for millions of students nationwide. 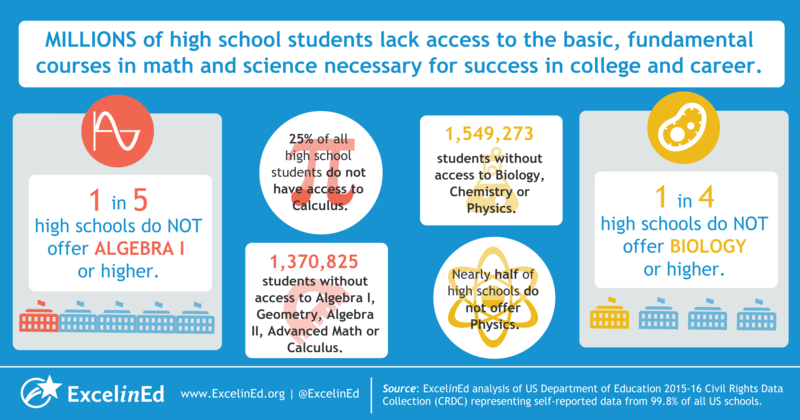 Today, ExcelinEd published College and Career Pathways: Equity and Access, a first-of-its-kind report identifying significant gaps nationwide in high school students’ access to college and career preparation courses. The data reveal a disturbing pattern of inequity: as the percentage of minority or low-income populations in schools increases, access to core courses decreases. 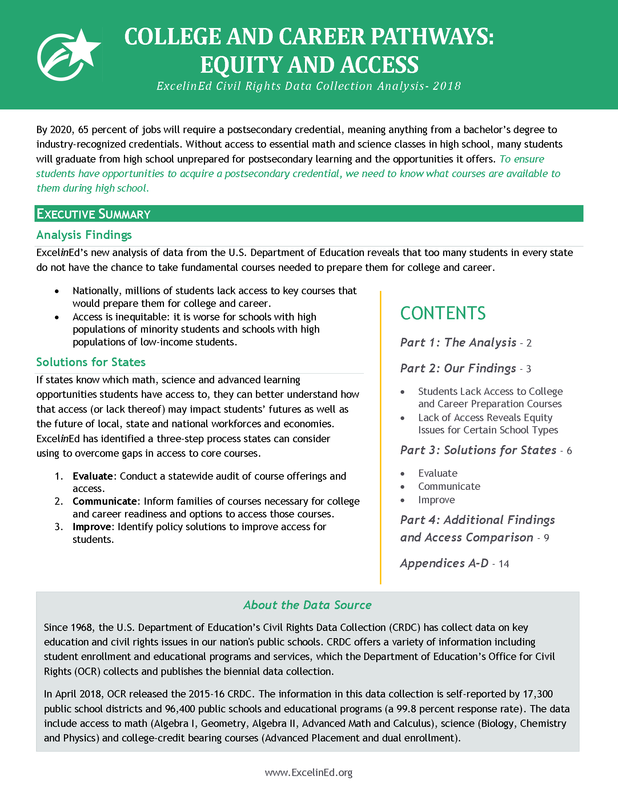 Please view the report and accompanying resources for details on the access gap and potential state-level solutions to the issue. Should you have any questions, our team would be happy to address them.